At our monthly MOPS Steering Meeting, I always share a short devotion. It is very causal and interactive with the leadership. Last week, I shared that I was in a slump concerning my devotional time with the Lord. For years, God has been drawing me to spend time with Him each morning and it is such a special time to read and study God’s word, journal and pray. Lately I wake up and definitely hear God beckoning me to spend time with Him, but I am ignoring His call. You see, my computer also calls to me to turn it on and communicate with the world – and I have been listening to it (dumb I know – to listen to a machine as opposed to the God of the Universe). It also draw me in and once I hear the sound of Microsoft windows turning on, I think that I will only check my emails and then my news page and then my blog and then Facebook and …. (you get the picture). And God’s calling to me is replaced by connection to the internet. For me, the more I make the decision to spend time on the computer instead of in God’s word – it is easier to do again the next day – until that becomes my routine. I shared this with my MOPS leaders and was amazed at how many of them were dealing with the same issue. Each of them shared my struggle and began to encourage me and each other with ideas of how to listen to God. How I appreciated each comment that was shared with – comments about their own struggle to spend time with God and not spend as much time on the computer. 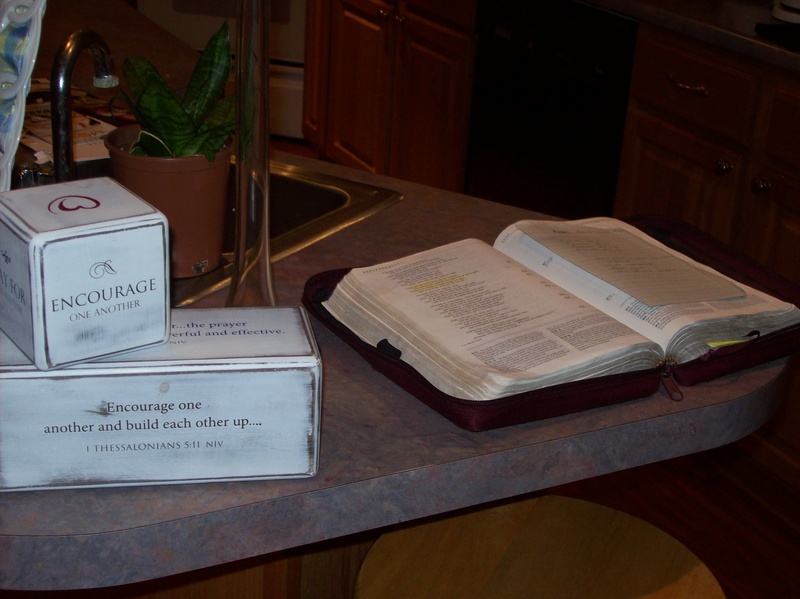 And then Anita (love you girl) said that she remembered the times I have encouraged the moms to just open their Bible and place it in a place where they will see it over and over again that day. That open Word of God is a reminder of God’s constant presence with us; just glancing at it in the midst of a busy day brings peace and a reminder of how much God cares for us (even when we are not listening to His call). Anita said that maybe I should listen to my own advice to open my Bible and place it where I can see it. Wow, Anita – God was speaking through you. 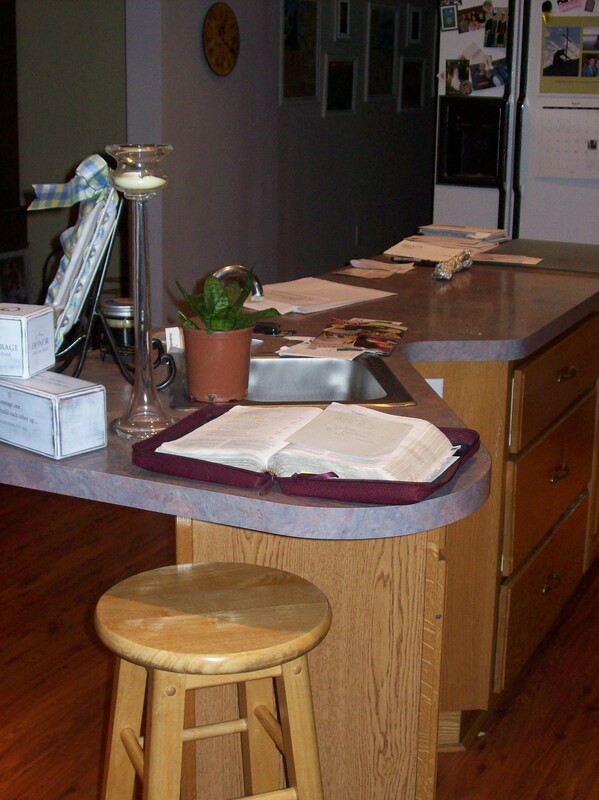 Since that meeting last week, I have been taking my own advice and putting my open Bible on my counter AND I have been spending time again with my Heavenly Father. Just being real about my struggle along with all the encouragement from the Moms, turned my heart’s desire back to spending time with my Lord and it has been a sweet time together. gotta love that Anita! 🙂 i am glad you shared this with us all in the meeting … sometimes just letting things be exposed to the light helps us move through and past them. 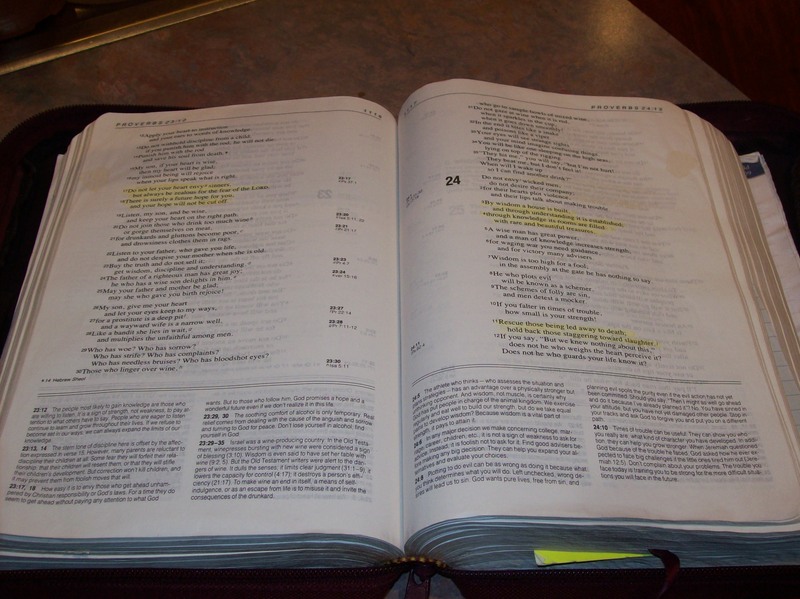 thanks for sharing the verse from proverbs … that’s a postable one for me!